Baltimore Checkerspots live in wet areas where White Turtlehead (Chelone glabra), their main foodplant, grows. 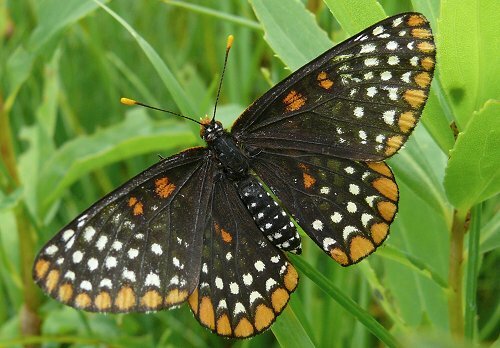 We have a large wetland area, with many Turtleheads, and we see Baltimore Checkerspots flying during June and July. 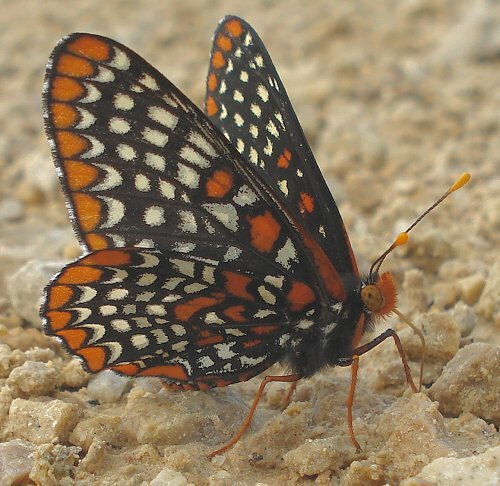 Baltimore Checkerspots lay their eggs later in the summer in clusters on turtlehead plants. 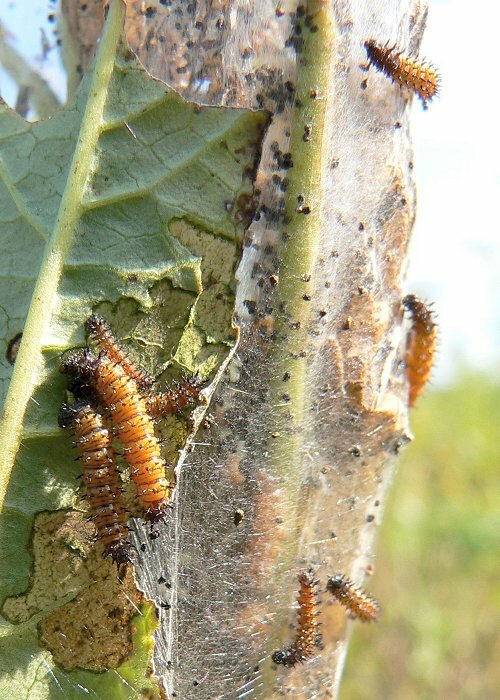 When the caterpillars hatch, they make a nest of silk, which sometimes includes more than half of the plant, where they live and feed. They spend the winter as partly grown caterpillars. David Wagner, in Caterpillars of Eastern North America, says that they overwinter in their nest. James Scott, in Butterflies of North America, says that they build another nest near the ground in which they overwinter. I've never found a nest during the winter. I've looked for ones that were there in the fall, and by mid-winter they've disappeared. It may be that our caterpillars build overwintering nests next to the ground, and in the winter they're hidden by the snow. 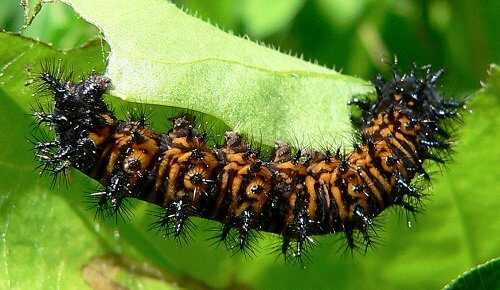 When the weather warms in the spring, the caterpillars wander away to feed. At this point they are more solitary, and they may feed on other plants besides Turtlehead. I've seen them eating Speedwell (Veronica sp. ), and Plantain (Plantago sp.). This one was eating Plantain. 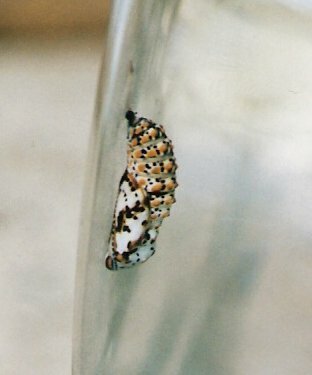 This entry was posted on Saturday, February 28th, 2009 at 4:37 pm	and is filed under Butterflies, Lepidoptera. You can follow any responses to this entry through the RSS 2.0 feed. Both comments and pings are currently closed.